Telecom service providers Vodafone India, is reportedly all set to roll-out its much-awaited 4G services in the country and will be launch it from Kochi tomorrow (Tuesday 8 Dec). The company has sent out invites to the media, for an event in Kochi on December 8, where it’ll announce a ‘new strategic national initiative to enhance mobile Internet experience’. So it's expected to be the beginning of Vodafone’s 4G services in India. 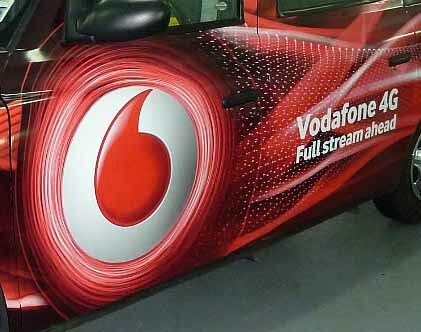 According the report, Vodafone India's managing director and chief executive, Sunil Sood, and operations director, Suresh Kumar, will be present at the launch, the person cited earlier said. The company had earlier announced that its 4G services would be available in India from December this year, following it up with another announcement that its 4G services will be rolled out in Kerala in December 2015 in five circles — Mumbai, Delhi, Kolkata, Kerala and Karnataka — which he described as markets "key to the No. 2 carrier's data revenues". Over the past four months, Vodafone India has been testing its upcoming 4G services and partnering with global technology infrastructure service providers for the network rollout. According to reports, the company has selected Huawei for supply of base stations and other equipment for 4G networks in Karnataka and Kerala circles, and is learnt to be in talks with Ericsson and Nokia for 4G gear procurement for the upcoming 4G launches in Delhi, Mumbai and Kolkata.